Canadian FinTech Company, LendingArch introduces real-time point of sale financing to disrupt the $32 billion out of pocket medical expenses for Canadians. A Modern Finance Company For All Canadians. LendingArch, a leading Canadian Financial Technology company, has announced a key expansion of their product range with the introduction of real-time point of sale financing to fill a huge gap in elective care and medical procedure expenses. 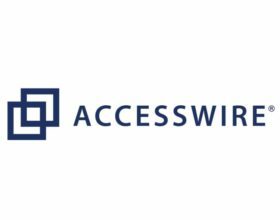 This groundbreaking loan product will provide patients the freedom to turn essential and expensive medical needs into affordable monthly payments that do not require the patient to use, or have a credit card. CALGARY, March 6, 2017 /CNW/ - LendingArch is excited to announce the official launch of their new, real-time point of sale loan service for Canadian medical clinics and their patients. 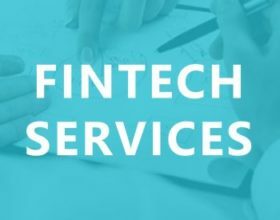 A trusted name in Canada's FinTech sector, LendingArch is one of the fastest-growing providers of instant financing in the country. This disruptive and positive loan product is expected to ease consumers from the over-dependence on credit cards. LendingArch has over 1100 clinics who are on a waiting list to offer this type of flexible financing to their patients after it goes live on April 1st, 2017. Recent figures suggest consumers in Canada face over $32 billion in out of pocket medical expenses and that number is growing significantly every year for different healthcare needs, including but not limited to MRI's, cosmetic surgery, fertility treatments, dental and hearing aids. Infused with patient friendly technology, LendingArch's new product offering brings real-time underwriting direct to clinicians. This will now allow clinics to offer affordable finance solutions to their patients, to match and manage their monthly budget more efficiently and effectively. Patients can now apply for LendingArch's point of sale financing either from the comfort of their own home, or directly at a clinic location and get approved within minutes, all online. Patients can be pre-approved before they go in for a treatment or appointment which alleviates the uncomfortable conversation regarding affordability. They can now confidently walk into their clinic and enjoy the flexibility of breaking down their loans into equal monthly installments for a duration of twelve-months to three years. One of the key benefits of LendingArch point of sale financing is that rates are far more affordable compared to any credit card, and the program is personalized according to the re-payment capacity of the borrowers. The clinics have no credit risk and are simply offering a flexible way for their patients to pay. Applications take less than two minutes and the clinic gets paid right away. Moreover, there are no deferred payments, compounding interest plans, or late fees for the patient. This product is a huge benefit to medical clinics as it has the power to increase sales, strengthen patient loyalty and improve the experience by allowing a more flexible payment option. 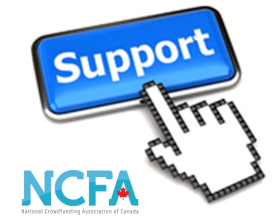 LendingArch CEO Arti Modi commented, "We are excited about being able to offer our lending technology right at the point of sale and make a difference in the lives of financially responsible Canadians. To see the look on a patient's face when they realize they can now afford fertility treatments or a hearing aid is empowering. Our clinicians are excited about being able to enhance their patients' lifestyle and buying experience due to our seamless application process at no risk to them." 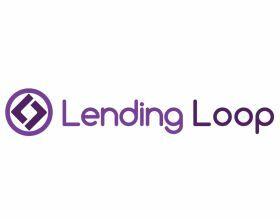 LendingArch is a modern finance company reinventing the lending experience. Through smart technology and exceptional customer experience, LendingArch has become one of Canada's fastest-growing providers of instant credit to financially responsible Canadians. From medical expenses, debt consolidation, home improvement costs and help with personal growth, LendingArch is dedicated to bringing financial advancement to consumers who deserve to live a happy life, at their rate.